When we say the words “I do”, how can we make sure we get a happily ever after? Society has grown to believe that marriage does not have to be forever, but there’s a problem with that—and it’s big. A popular practice has evolved in this country–if we tire of our spouse, we can move on to someone else and start over. Before I go any further, I need to make something clear—a number of things can make it difficult if not impossible to remain married. Men and women often find themselves forced out of marriage as victims of infidelity, an alcoholic or drug-abusing spouse, physical abuse—or worse. For those willing to persevere and attempt to hold a damaged marriage together, an unrepentant wife or husband can prevent even that. I am not referring to those individuals here. Scripture clearly addresses them as victims. I am speaking of divorce as the choice of a husband or wife simply wanting out because one is no longer in love with their spouse, or even worse—because they have found someone else. Some Christians look at divorce a little differently than the secular world—not better, but differently. A common belief centers on the idea that God has only one person chosen for each of us. As a result, if we find ourselves married to the wrong person when the right one comes along, God would obviously approve of us making a switch. Otherwise, this distorted thinking concludes, we are out of the will of God. The problem with that thinking is basic—it can’t be true. If there is only one person for each of us, and any choice outside of that person is against God’s will, then the first person in history to mess that up would destroy the hope of all mankind. Once one wrong person is chosen, the person they were supposed to marry inadvertently ends up marrying the wrong person too since the right person is not available for them anymore, and so on. There could never be resolution to such a dilemma. The point I make is that Satan can place untrue thoughts in our minds and inappropriate beliefs in our hearts—including the notion that we may be married to the wrong person. Then, miraculously, the right one (God’s choice) steps onto the stage. The fact is, once we marry, we have a bond with that individual that is not to be broken—except by death. If the person we married was not the person God wanted us to marry, there is no turning back once the vows have been made. Once we are married God’s will is clear—remain married. From the time we are married, we are to devote ourselves to that spouse. We should pour our love into the woman or man to whom we are married. There is no godly or Scriptural foundation to drop the wrong one and pick up the right. That is a lie from Satan. There is, however, strong admonition for men to love their wives and for wives to submit to their husbands. Ephesians, Chapter 5 tells us as husbands to love our wives as Christ loved the Church and gave himself up for her—a very tall order for us men since we can’t ever out love God. But no taller than the instruction for women to submit to their husbands—but that’s a different topic. There is little room left for interpretation in these verses because they are so incredibly important. For us to be the people God calls us to be, we must be solid in our marriages, unwavering in our devotion to our spouses, vigilant in our protection of the sanctity of our families. We cannot expect to have a right relationship with Jesus, or to carry out any ministry if we are living outside of His will—and divorcing is out of His will. Again, if you are a victim and have no choice, divorce is not your fault—but it is still outside of God’s will. In other words, whatever caused the divorce to occur (infidelity or abuse for example) is clearly outside of His will for us. He wants us to do what we can to prevent divorce, and when possible to reinstate marriage in a healing process. Unfortunately there are times when this is not possible. According to Scripture–these are the only times divorce is “okay”. The question has been asked, if we are miserable in our marriages, what are we to do? According to God’s Word, if we devote ourselves to our spouses, give them all our love out of obedience whether we feel like it or not, we can expect God to be faithful. It may take time, but it is worth the effort. I know that this is a delicate subject for most. 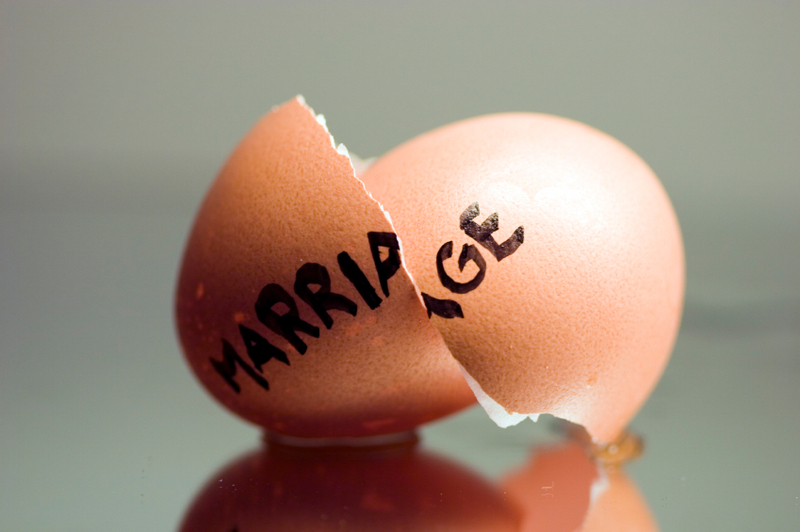 I have many good friends who have been divorced without any choice in the matter, often under great duress. They are godly men and women for whom I have the greatest respect. The unfair devastation they have endured is beyond comprehension. God desires for us to have marriages that are exciting, vibrant, romantic and adventurous. It doesn’t come easy, but it is possible. The romance resulting from a godly marriage is impressive indeed.